A quarter of a century — how many pets websites can say they’ve been around that long? For 26 years and counting, K9 Web has been providing resources to the online canine community. 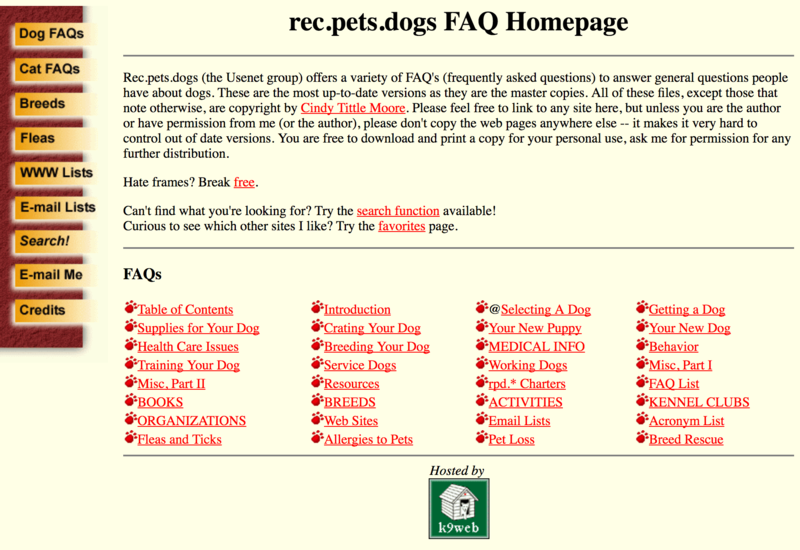 Beginning in 1992, Cindy Moore wrote much of the original content of K9 Web as a service to the public. Most of it was gathered from information disseminated on online message boards (rec.pets.dogs), and where possible Cindy checked with knowledgeable experts to ensure the accuracy and relevance of the material. In addition, many other advisors contributed to the content that now resides at K9 Web, such as Michael Mahler, Marla Belzowski, Liza Lee Miller, Michael Buening, Janice Ritter, Stephen R. Lee, Lily Mummert, Michael Sierchio, Charlie Sorsby, Rusty Wright, Kathryn Hogg, Jeff Parke, Bonnie Dalzell, Amy Hendrix, and Janis Cortese. Others are noted on individual pages as authors. 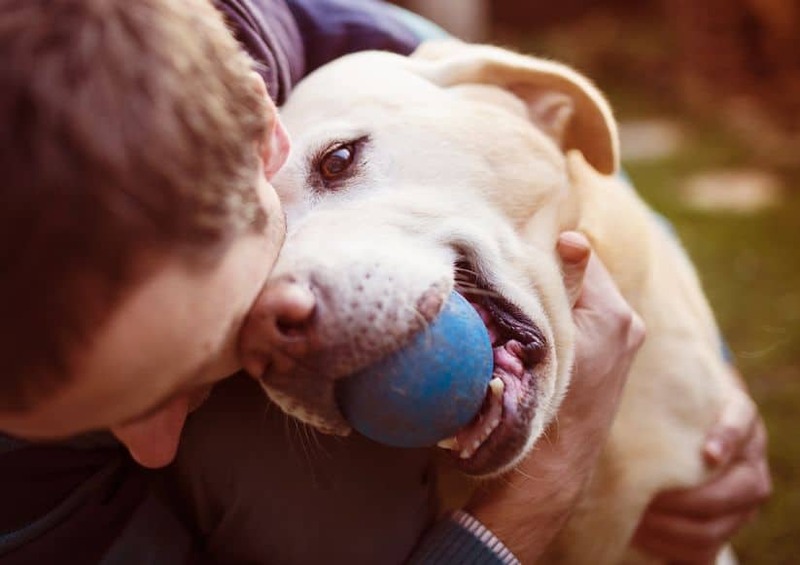 Some of the health information relied on research gathered from a classic book called Dog Owner’s Home Veterinary Handbook, by Delbert G. Carlson, DVM, and James M. Giffin, MD. The book has been updated and expanded several times over the years with additional authors and remains a must-have handbook. To thank every contributor has proven increasingly impossible over the years as the numbers have swollen beyond counting or listing. We extend a huge thank-you to everyone who contributed — without this body of knowledge and contribution, K9 Web would not exist. The original K9 Web, in the 1990s, was a well-known one-stop-shop for a considerable amount of information. In fact, it grew so popular that Cindy couldn’t always afford to keep the website running without limiting the amount of traffic. “The price of such bandwidth was astronomical back then,” she said. K9 Web is, as it has always been, 100 percent independent — no big corporation has its muddy paws on us. In addition to the original material, we continue to add new articles regularly. We have made every reasonable effort to keep the information at this site accurate and up to date, but we do rely on our readers to help us out — so any feedback is greatly appreciated!